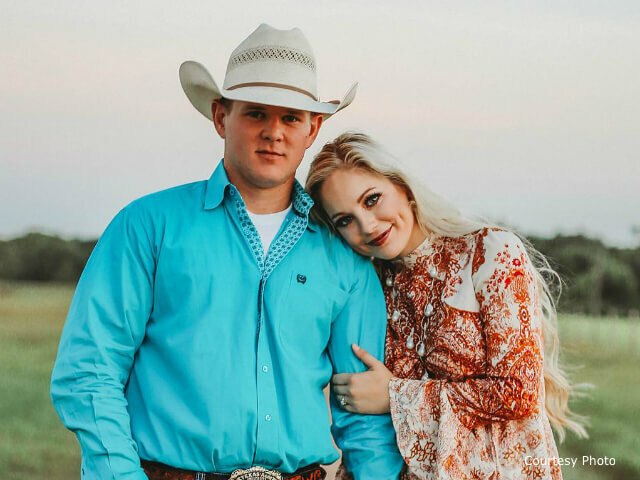 UVALDE, Texas – A newlywed couple leaving their wedding ceremony in a helicopter died early Nov. 4 when the helicopter crashed. Will Byler, his wife, Bailee Ackerman Byler, and their pilot died in the crash, according to The Houstonian, the student newspaper for Sam Houston State University. Both were seniors at Sam Houston State. Will was an Agriculture Engineering major, and Bailee was an Animal Science and Mass Communications major. Both were 23 years old. The pilot was Gerald Lawrence. He was 76. Funeral services have been set for Bailee, of Orangefield, Texas, and Will, of Bellville, Texas. The first visitation will be Thursday, Nov. 8, from 2-4 p.m. (CT) at Turning Point Church of Vidor (Texas) with funeral services immediately following at 4 p.m., also at Turning Point Church of Vidor. The second visitation will take place Friday, Nov. 9, from 8:30-10 a.m. at Bellville (Texas) United Methodist Church, with the funeral service set to begin at 10 a.m., also at the church. A graveside service will take place Friday, Nov. 9, at 4:30 p.m. at the Byler Family Cemetery on the Byler Ranch in Uvalde. In lieu of flowers, donations may be made to the Will and Bailee Ackerman Byler Scholarship Endowment at Sam Houston State University in Huntsville, Texas. Byler, a steer wrestler, was on his PRCA permit. Bailee Ackerman was one of the top three flag girls from the Wrangler National Finals Rodeo flag competition last year and was set to join the flag team this year at the Wrangler NFR. Both were members of the NIRA Southern Region College Rodeo and competed for Sam Houston State University. Byler was in second place in the steer wrestling. Sam Houston State University is hosting its home rodeo this weekend (Nov. 9-10) in Conroe, Texas, where both Will and Bailee will be honored. It is evident by the outpouring of love and support that Will and Bailee made an impact and will be remembered by their kind hearts and uplifting spirits. Will and Bailee spent their last moments on earth surrounded by family and friends in what can easily be called the best moments of their life. The helicopter struck a rural hillside, shattering the aircraft and killing the couple and the pilot, Uvalde County Justice of the Peace Steve Kennedy told ABC 13 News in Houston. Craig Hatch, an air safety investigator with the National Transportation Safety Board, told CBS News that Lawrence was “very experienced (and) highly qualified,” adding he believed Hatch had logged about 24,000 hours. The NTSB is investigating the crash, which the agency said involved a Bell 206B helicopter that went down at about 1:47 a.m. Sunday about 15 miles outside Uvalde. Authorities located the crashed helicopter around daybreak, the sheriff’s office said. Hatch said they will attempt to conduct a thorough initial examination of the wreck. However, the helicopter is located in a “precarious” spot on a side of a hill, a few miles from State Road 55. The cause of the crash hasn’t been determined, but Hatch said a preliminary NTSB report will be issued in about two weeks.